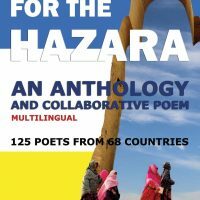 We poets from around the world, proclaim to the Hazara people, that we are in full solidarity with your civic and cultural movements to protect your human rights. We are aware that you are victims of systematic crimes, including genocide, slavery, forced displacement, discrimination, and the invasion of your homeland, Hazaristan. However, like the movements that ended apartheid in South Africa, and the American civil rights movement, your movements such as the Hazara Enlightenment movement will also achieve success. 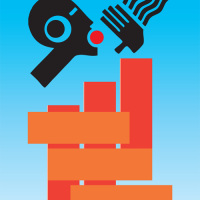 We hear your voices, we reflect it in our poetry, and lift it into contemporary world literature. Today, the systematic crimes against the Hazara in Afghanistan and Pakistan are proof that the Hazara are being deprived of their human rights. In Afghanistan, where the Hazara are its native people, the government ignores the crimes against the Hazara, and misleads the international community by granting the Hazara a few insignificant government posts. 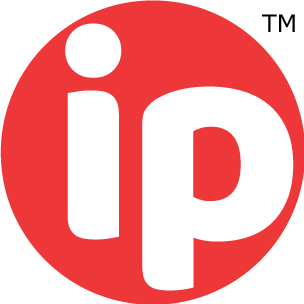 Attacks on peaceful Hazara protests, for example on July 23, 2016, a bloody attack on the peaceful protest of the Hazara Enlightenment movement killed and injured over 400 in Kabul. 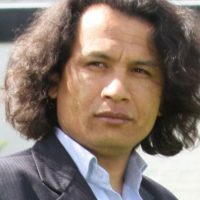 Oppressive actions by the government against the Hazara Enlightenment movement including refusal to provide security for its gatherings and protests, isolating and blocking roads at protests, censoring, threatening the movement’s activists with detention, and firing on them from public institutions. Using terrorists to obstruct Hazara travel by abducting, torturing, killing, and beheading them, including children and women. This has made the secure passage of Hazara impossible on nearly all roads in Afghanistan. Organizing war crimes including bloody attacks on Hazara religious and non- religious gatherings in major cities like Kabul and Mazar i Sharif. Allowing attacks on Hazara villagers by armed Pashtun nomads who have full government and Taliban support. 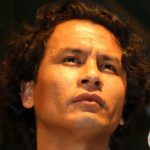 Allowing organized attacks on Hazara activists, artists and writers. Systematic discrimination against the Hazara in public institutions and governmental offices. Marginalization of the Hazara by depriving them of fulfilling careers, and allowing them only manual labor jobs. Hazara make up less than 5% of those employed in public institutions and governmental offices. Driving frustrated and hopeless young Hazara to drug addiction. Allocating less than 2% of the national budget to Hazara areas. Posting of Hazara soldiers and officers to the most dangerous parts of Afghanistan. Afghan government agreements with western countries for forced deportation targeting primarily Hazara asylum seekers. . The attacks and systematic destruction of the Hazara are being carried out by the Afghan government and the terrorist groups including the Taliban and Daesh. There are many reports on the links between some high-ranking officials and terrorist groups. In Pakistan, the Hazara are still under attack, and the government is not able or not willing to protect them. Organized attacks and genocide of the Hazara in the 21th century continue the policies of Hazara ethnic cleansing and invasion of their lands. In the 19th century, during the rule of Afghan Dost Mohammad Khan, The Hazara, made up about 67% of their country’s population. However, many Hazara faced forced displacement during this period. At the end of the century, Afghan king, Abdurrahman Khan, with British support, planned the genocide of the Hazara. More than 62% were killed, thousands were sold as slaves and many parts of the Hazara’s lands had been invaded. After these crimes, in this area, the name Afghanistan appeared on maps. Afghanistan’s entire 20th century history has been marked by killings of Hazaras and systematic discrimination against them. On February 10 and 11, 1993 in the Afshar area of Kabul, the Mujahadeen government, and its allies exterminated and left injured thousands of Hazara men, women and children. In August 1998, the Taliban killed more than ten thousand Hazaras in the northern city of Mazar-i-Sharif. Similar bloodbaths quickly spread to other parts of Afghanistan including Yakawlang. Destroying Hazara history and promoting an inaccurate, demeaning history of their culture have been further strategies, in addition to violent crimes. For example, in March 2001, the Taliban notoriously destroyed the ancient Buddha sculptures of Bamyan which were principal symbols of Hazara history and culture, and one of the most popular masterpieces of the oral and intangible heritage of humanity. Such is the history of two centuries of crimes against the Hazara, and from which they still suffer. 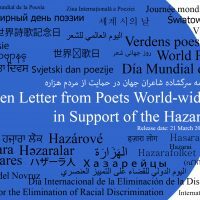 We, the poets world-wide address our letter to the civil and human rights activists and organizations, and ask them to monitor the Hazara rights situation, document the crimes against them, raise awareness in the world about the Hazara, and put pressure on the government to end the crimes. The crimes mentioned in the Convention on the Prevention and Punishment of the Crime of Genocide and the International Convention on the Elimination of All Forms of Racial Discrimination are the same as the crimes that the Hazara suffered and still suffer. Those conventions should be helpful to prevent the crimes against the Hazara. 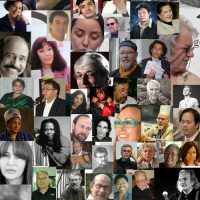 We, the poets world-wide address our letter to the immigration directories, and ask them to grant Hazara asylum seekers political asylum. The condition of the Hazara fit the 1951 Refugee convention and related protocols. The agreement with the Afghan government on forced deportation is another crime in addition to those they suffer. We ask the world’s politicians to recognize the Hazara genocide in their national parliaments and in international communities, to use all legal methods to stop crimes against the Hazara permanently, and see that the victims are compensated. We especially ask the British government to officially apologize to the Hazara for supporting the Afghan dictator at the end of 19th century. This support resulted in the genocide, slavery, forced displacement and systematic discrimination—much of which abides today. It merits compensation to the descendants of the wronged. The international community should put pressure on the governments of Afghanistan and Pakistan, and make their aid conditional on the improvement of human rights including the Hazara rights. Again, we the poets world-wide are with the Hazara.